TreeTops Non-fiction are part of a structured reading programme for juniors from Oxford Reading Tree, Levels 9-16. The high-interest subject matter they cover will motivate all children to read - especially boys. They are ideal for guided reading. Books contain inside cover notes to support children in their reading. 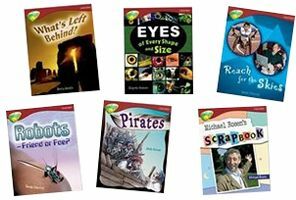 They are available in mixed packs of six books or class packs of 36 books.